Dehydration for Dummies - Health Blog - Health Tips for your Healthy Lifestyle! 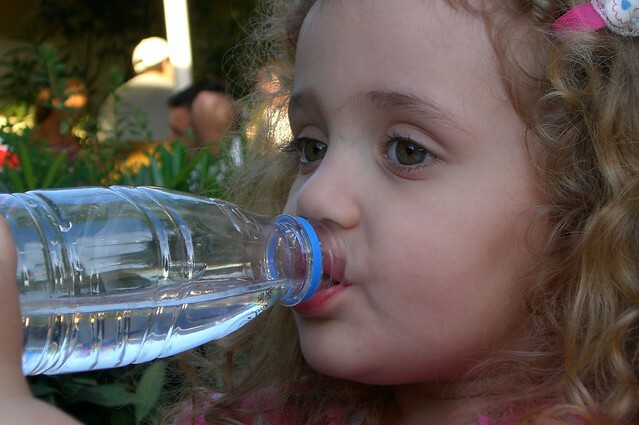 Dehydration can be explained in simple terms as the excessive loss of body fluids. It occurs when the amount of water exiting the body is greater than that entering it. Our body has a very complex water management system that maintains the water content up to 75% of the total body mass. This is distributed amongst various components such as blood vessels, cells and intracellular spaces. A lot of people of are unaware of these basic facts. Despite constant loss of this water from the system through breathing, urinating, sweating and defecating, the body maintains the water content to an optimum through a thirst mechanism to remind us to replenish it with fluids. This is the most common cause for dehydration when the body fluids are lost in excessive amounts as bowel movements. Over 4,000,000 deaths of children have been reported each year as a result of diarrhea. The body has an internal temperature regulation mechanism where when there is any increase in temperature beyond the optimum, is a cooling effect is provided in through the process of perspiration or sweating. Rigorous physical exercise in hot climatic conditions or the presence of a fever can cause excessive sweating to cool the body down resulting in dehydration unless the loss of water is replaced by intake of fluids. A lot of body fluid is lost as vomits. The difficult part here is that replacing the water lost by fluid intake is difficult because of the nausea associated with vomiting. Diabetes is a disease where the blood sugar level increases, causing frequent urination. This leads to fluid loss. The most immediate body reaction to the loss of body fluids is decreased urination and increased thirst. How is Dehydration Diagnosed and Treated? Blood and urine tests can help in diagnosis by measuring the electrolyte and ketone content in the blood and urine respectively. Treatment involves replenishing the body with fluids through the consumption of clear fluids like water, ice pops, broths and sports drinks. There are also various home remedies such as pickle juice and ginger to combat dehydration. In certain extreme cases intravenous rehydration and medication such as anti-emetics and anti-pyretics and anti-diarrhea medicines may become necessary to treat dehydration.